On 13 November 2018, the work of the Special Committee on Terrorism was finalised with a committee vote on its findings. 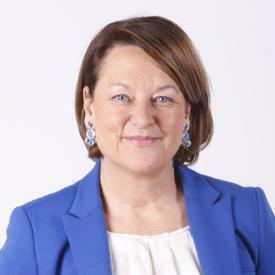 Subsequently the political recommendations were adopted in a plenary vote in Strasbourg on 12 December 2018. The report by Monika Hohlemeier (EPP) and Helga Stevens (ECR) was adopted with 474 votes in favour, 112 against and 75 abstentions. On this website you will find an overview of the works of this special committee conducted during its mandate that has ended on 14 November 2018. On Tuesday 13 November 2018, the work of the Special Committee on Terrorism, which began in September 2017, concluded with a vote on the report on findings and recommendations of the Special Committee on Terrorism. Following the vote in committee, the final report will be put forward on the agenda of the December 2018 plenary session. 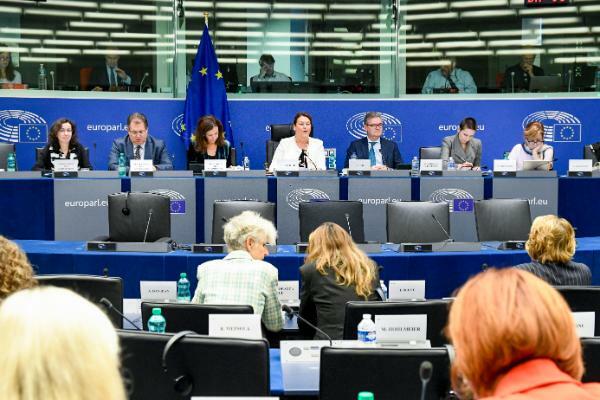 The draft report was presented by the co-rapporteurs Ms Monika Hohlmeier (EPP) and Ms Helga Stevens (ECR) in July. TERR Members tabled 1519 amendments to the draft report. The aim of the report is to address the practical and legislative deficiencies in the fight against terrorism and to make recommendations as to measures and initiatives that can be taken to overcome these deficiencies and to improve the fight against terrorism in the European Union.. 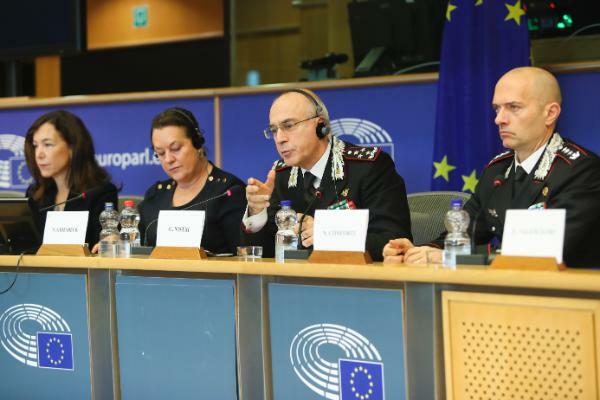 The Special Committee on Terrorism welcomed Commanding General of the Carabinieri Giovanni Nistri on 9 October 2018 in Brussels. The discussion was a follow up to the debate with General Nistri that Members held during the TERR mission to Rome and Catania in July. General Nistri presented to the Committee the structure and activities of the Carabinieri in the fight against terrorism. Members discussed the cooperation in this field on a European level; one of the specific aspects included exchange of information. The meeting then continued with a consideration of amendments. TERR Members tabled 1519 amendments to the draft report on "findings and recommendations of the Special Committee on Terrorism". The aim of the draft report is to address the practical and legislative deficiencies in the fight against terrorism and to make recommendations as to measures and initiatives that can be taken to overcome these deficiencies. The vote is due to take place on 12 November 2018. 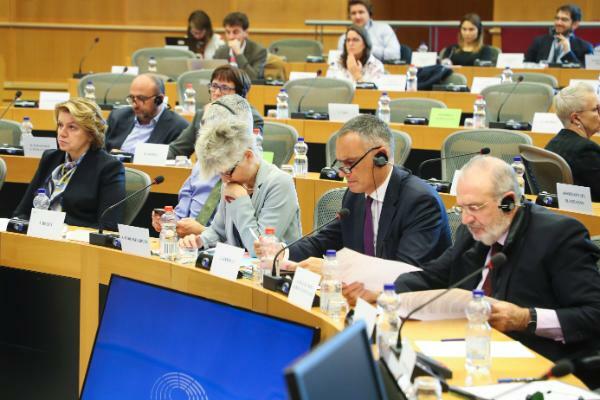 On Thursday, 4 October in Strasbourg Members of the Special Committee on Terrorism held an exchange of views with Sir Julian King, Commissioner for the Security Union. 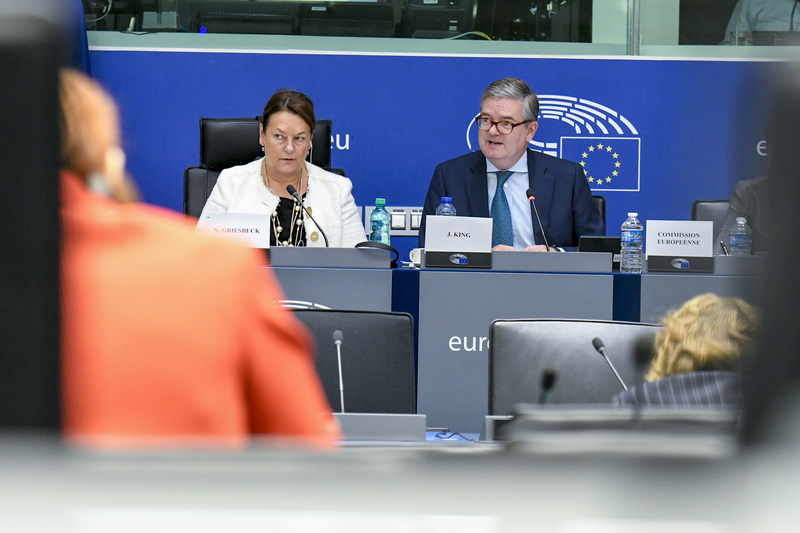 This was the first exchange of views with the Commissioner after the co-rapporteurs Ms Monika Hohlmeier and Ms Helga Stevens presented their draft report on "Findings and recommendations of the Special Committee on Terrorism" on 5 July 2018 and it gave an opportunity to Commissioner King to comment on the draft report ahead of the committee vote scheduled to take place on 12 November. The aim of the draft report is to address the practical and legislative deficiencies in the fight against terrorism and to make recommendations as to measures and initiatives that can be taken to overcome these deficiencies. Members of the Special Committee on Terrorism visited the Port of Antwerp to gather first-hand information on security measures in place protecting the port infrastructure. A high-level group of members of the Special Committee on Terrorism met on Thursday, 12 July with Mr Marc Van Peel, Deputy Mayor in charge of the port, Paul Wauters, harbour captain at the Antwerp Port Authority, safety consultants of the port and representatives of the Antwerp Judicial Police, Navigation department and Navigation Police. The aim of the visit was to gather information about the security measures in place to protect the port infrastructure in case of a terrorist attack. 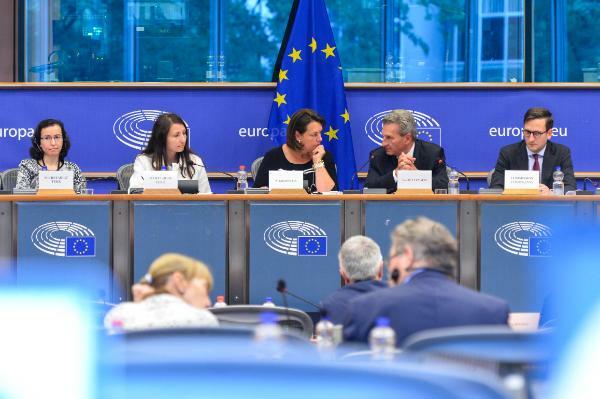 The high-level group of five MEPs was briefed on the security measures of the port and was presented several operations illustrating the security cooperation and controls in this field. 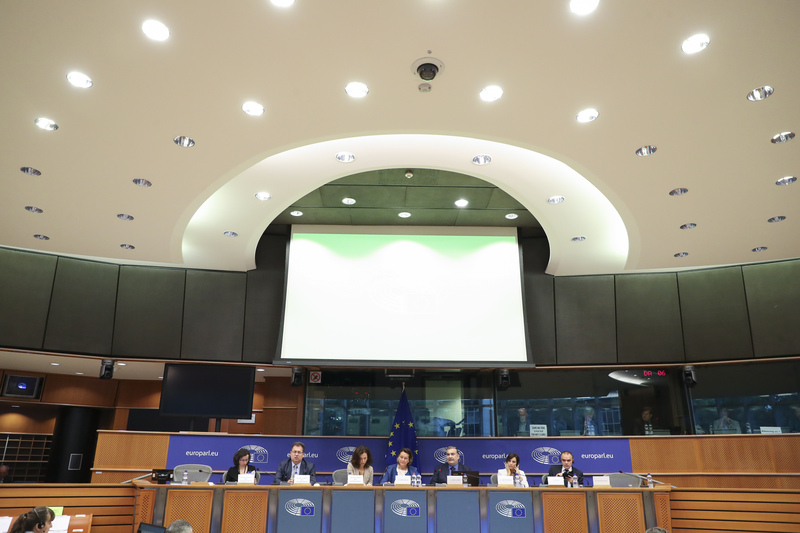 The delegation was composed of the Chair, Nathalie Griesbeck (ALDE, FR), co-rapporteur, Monika Hohlmeier (EPP, DE), shadow rapporteur, Caterina Chinnici (S&D, IT), as well as Gérard Deprez (ALDE, BE) and Kristina Winberg (ECR, SE). On Wednesday, 11 July, TERR Members held an exchange of views with Mr Günther Oettinger, Commissioner for Budget and Human Resources on the use of EU financial resources in the fight against terrorism with regard to the next Multiannual Financial Framework. The Committee meeting started with an 'in camera' exchange of views with Mr Gilles De Kerchove, Counter-Terrorism Coordinator. Members also listened to Mr Philippe Pradal, Deputy Major of Nice, on the security of public spaces. Mr Javed Patel, UK Deputy Director of the Counter Terrorism and Extremism Network, Europe presented the new UK CT Strategy "CONTEST". Euroopan parlamentti on päättänyt perustaa terrorismia käsittelevän erityisvaliokunnan (TERR), jonka puheenjohtajana minulla on kunnia toimia. Valiokunnan toimivallasta äänestettiin parlamentin täysistunnossa 6. heinäkuuta 2017, ja sen tehtävien kirjo on laaja ja vaativa. Valiokunta kuulee tärkeimpiä toimijoita unionin toimielimissä ja terrorismin torjunnan kansallisia asiantuntijoita eri aloilta. Heidän lisäkseen kuullaan radikalisoitumisen ehkäisemisen ja terrorismin uhrien tukemisen keskeisiä toimijoita. TERR-erityisvaliokunta laatii toimikautensa lopuksi mietinnön, jossa se esittää ehdotuksensa neuvostolle ja komissiolle ja jonka avulla se pyrkii antamaan merkittävän panoksen terrorismin torjunnassa käytettävien eurooppalaisten valmiuksien tehostamiseen. Tässä intohimoja herättävässä keskustelussa Euroopan parlamentti toimii kaikkien niiden kansalaisten äänitorvena, jotka haluavat selvyyttä siihen, mistä terrorismi saa alkunsa, puutteista, jotka mahdollistavat sen leviämisen, sekä keinoista, joiden avulla sitä voidaan torjua ja se saadaan loppumaan. Toivon, että käyntinne verkkosivustollamme on antoisa!